Tap dance is not only fun to learn and fun to perform, but it also includes a few health benefits! Strengthening of the legs and feet. Increased flexibility in the hips, knees, and ankles. Tap dancing is a solo dance style meaning you do not need a partner to do it. No uncomfortable partnering situations when you join a tap class. Tap is definitely fun to do in a class with others. The rhythms all in sync is pure magic! Children can start learning tap at age six. However, tap can be learned well into adulthood. Tap dance classes can be customized for any fitness level. Any activity that helps to strengthen our balance and flexibility is good for long-term health. Tap dance definitely helps to improve your balance and your posture. Tap increases flexibility in the hips, knees, and ankles which keeps us moving! One thing you can count on in the dance world is that you will face a lot of criticism. Criticism can be tough on a dancer. A thick skin will help a dancer get by, but here are a few things to think about when dealing with criticism. Take time to celebrate achievements! You finally achieved a perfect single wing on your left and your teacher was working with another dancer. Or, your teacher sees you and tells you to work on switch wings rather than praising your accomplishment. It can be frustrating, but take time to be proud of yourself. As Mikhail Baryshnikov said, "I do not try to dance better than anyone else. I only try to dance better than myself." Take corrections, apply yourself, and pat yourself on the back when you improve. 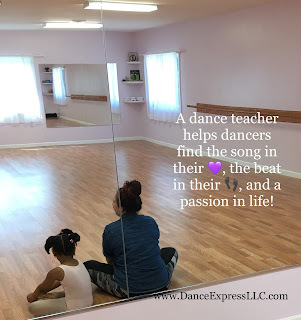 Use corrections to grow as a dancer! 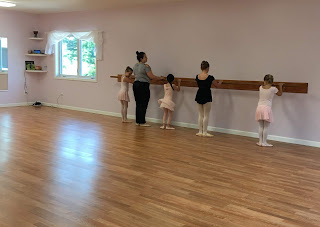 Some dancers live for ballet while others struggle to drag themselves to ballet class. For those that consider themselves hip hop dancers, tap dancers, or jazz dancers, they may try to avoid ballet. So why is ballet important for all dancers?